If you’re planning a renovation in the future, start thinking about where the light falls now. Britain doesn’t get much sun, so if you’re out of the house most of the day at work, you may only see your kitchen in daylight at the weekends or in summer evenings. Making the most of any natural light can make a room more pleasant. Try to put preparation areas by windows to create well-lit workspaces and keep food storage and appliances out of direct sunlight. 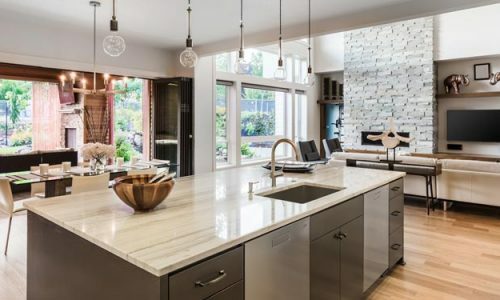 Marble worktops and other stones don’t fade, so you can use the same materials all around. If you’ve got space, an armchair or kitchen table in a sunny spot is a delight – although you might come in with your coffee and find all the kids and pets in the house already in place! Most kitchens need several different kinds of lights to feel well-lit and easy to use. 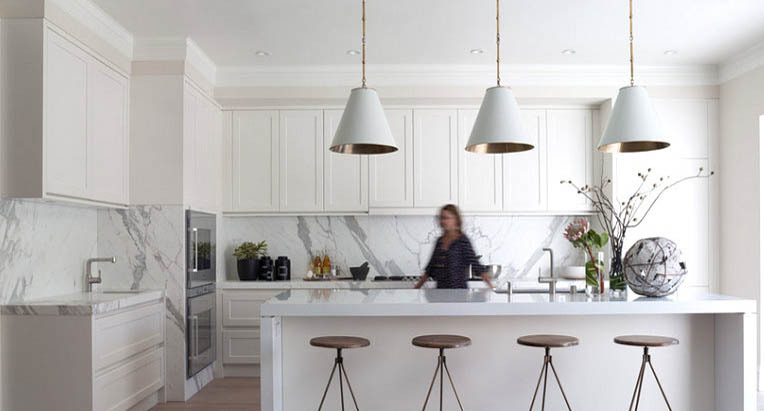 This is because the cabinets overhang the work surfaces, so an overhead light might let you see to pull out the chopping board, but then cast a shadow over your marble worktops as you start work. Being able to switch lights on and off independently lets you adjust the artificial lighting to complement the natural light. As an example, you might only use the counter lights in summer, but use all the lights in winter. Festivals and feasts are among the joys of the changing seasons. To save cluttering up your day-to-day storage areas, cabinets or shelves that go all the way to the ceiling let you store out-of-season items conveniently. Swap items around as the seasons shift and you’ll always feel organized and clutter-free. As the cold weather arrives, clear the picnic plates and ice-lolly makers off your marble worktops and replace them with gourmet hot chocolate, festive cookie cutters and other seasonal treats. At Surrey Marble and Granite, we work with clients across southern England, from Canterbury to Oxford, to help them create kitchens that are a joy to use in any season. 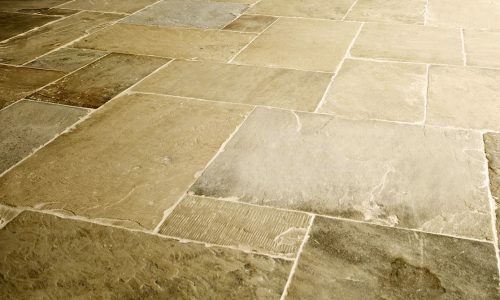 Our expertise is based around stone work, from marble worktops to limestone floors, and as a result we have developed complementary experience in creating harmonious and practical rooms. If you’re stuck for ideas, drop in and visit us at our show room in Haselmere, Surrey or contact us here.